Magnifibres claim to give you a false lash effect, without needing falsies - by brushing on fibres to your lashes that can lengthen them by up to 5mm. In terms of eyelash length, that is a hell of a lot! As a short, stumpy eyelashed gal, I couldn't wait to give it a go. 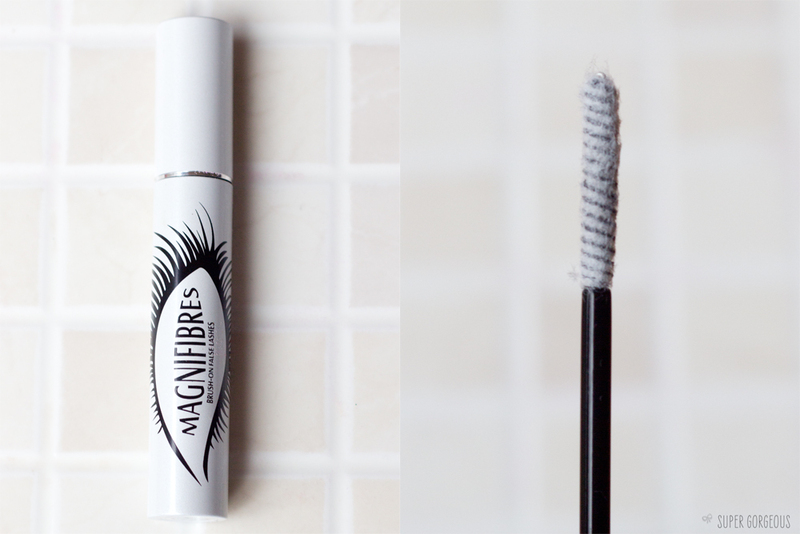 The tube looks like a standard tube of mascara, but once you open it up you see the wand looks almost like a stick of candy floss - with fluffy white fibres coming off it. You apply your normal mascara, then brush through your lashes with Magnifibres - this leaves a coating of white fibres, which bulk up and add length to your lashes. You have to take care to look down as you apply it as if the particles get in your eye it can be quite uncomfortable. At this point your lashes look rather white, so you add another coat of your mascara and it's as simple as that! 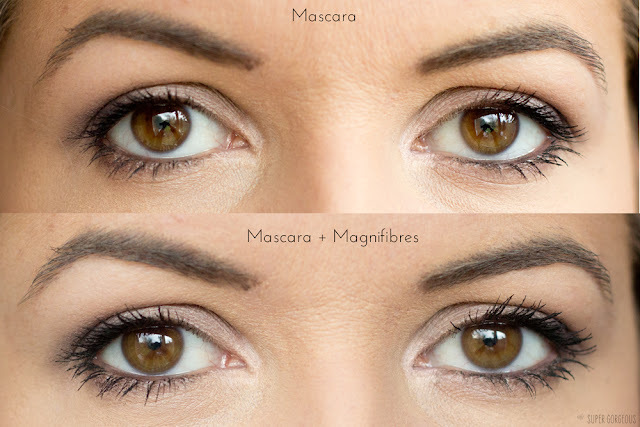 After trying the Magnifibres myself, I can see a slight difference - there is a little length added, and also a fuller lash effect. I notice the volume more than the length. 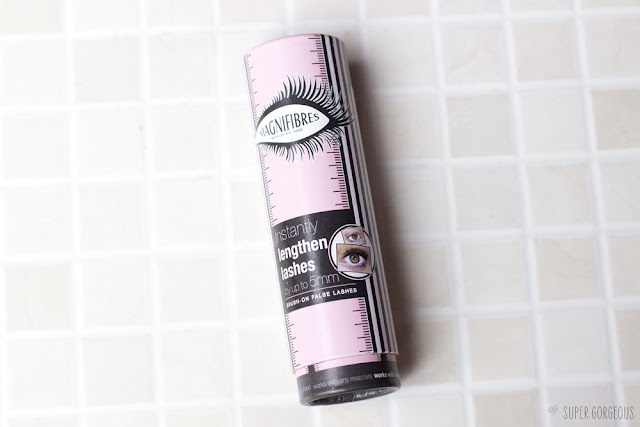 I don't think I could substitute this to using false lashes, but to add a bit of oomph to your lashes without the hassle of sticking on falsies, this works a treat.